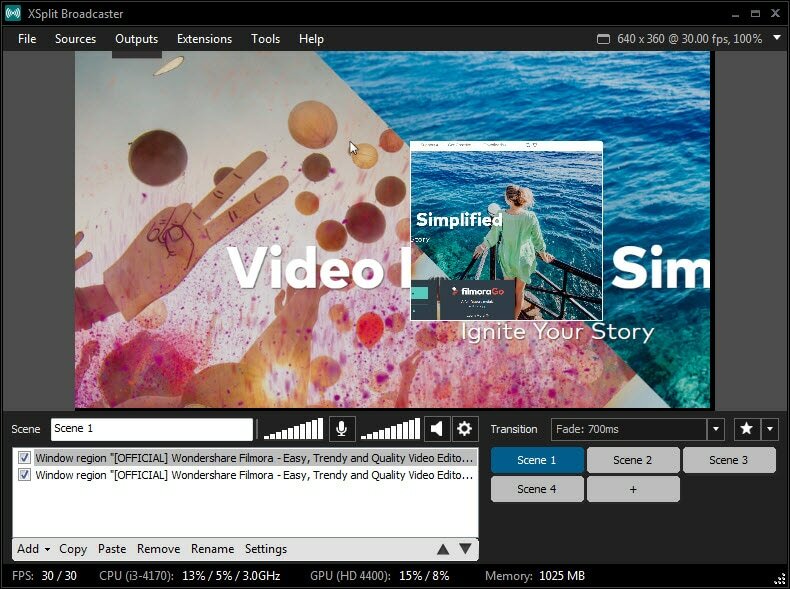 The best alternative of XSplit to produce high quality video without pressure. A staple in streaming services, particularly for video gamers, XSplit is one of the most recognizable names in the industry. The vast majority of decent streamers in services like Twitch are using XSplit to record and mix their streams to great effect. Though XSplit has been designed with ease-of-use in mind, first-time streamers and broadcasters may find the interface intimidating at first. Here, we will go through a brief tutorial of the software so you can start streaming right away. Using XSplit is extremely simple. All you really have to know is where each feature is located. After that, streaming will be an absolute breeze. If you have ever used a program like OBS, XSplit will look intimately familiar. Of course, absolute newcomers will also have no problem using it. With the add button, you will be able to add a bunch of different sources to each of your screens (4 in the free version). To put it even more simply, you can record gameplay, video from your webcam, your browser, a movie on the background, and anything else you want. 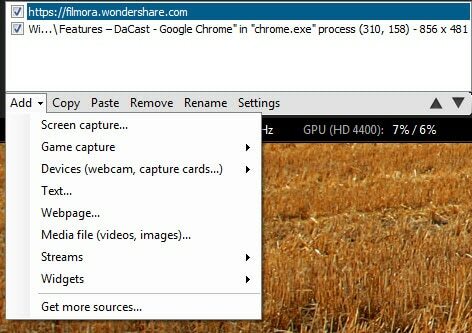 Adding a screen capture:Just select the Screen Capture option and click on any window of your screen or even your entire desktop. XSplit is brilliant in resizing and refitting windows too. Adding a game capture:Select the appropriate option and then choose any game that XSplit has detected. Text: Add text to highlight something or create a cool effect just by clicking on that option. You'll be able to choose from a lot of different options to create custom text. Media file:Useful when you want to add a watermark, logo, background image, or something similar. Remember, you can move things around however you want, or you can click on the arrow buttons for simple repositioning. To change most of the application's settings, you will want to click on the Tools menu in the toolbar and select the General Settings option. Hotkeys: Make sure to set these up before you actually start recording as clicking on the buttons manually will be awkward. Also make sure to set up hotkeys which aren't used by other programs or the game you'll be playing. Audio:Make sure that these settings are all good. 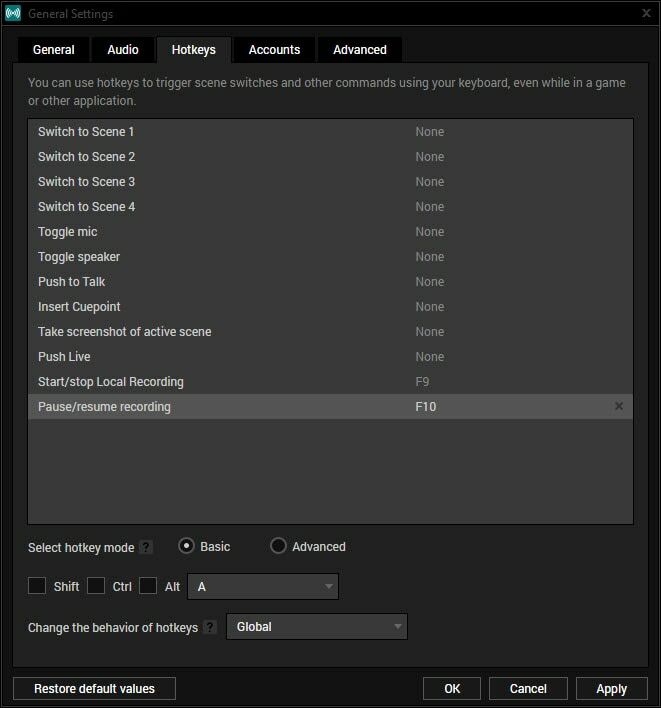 XSplit's default settings are usually fine but you may have to adjust them, depending on your system. Audio is almost as important as video in many cases so you don't want to skip over this. Outside of this menu, in the top right corner of Xsplit, you will also be able to adjust resolution options, though these are limited in the free version to 720p@30FPS. XSplit gives you the option to either save your recordings or stream live. Here's how to do both. 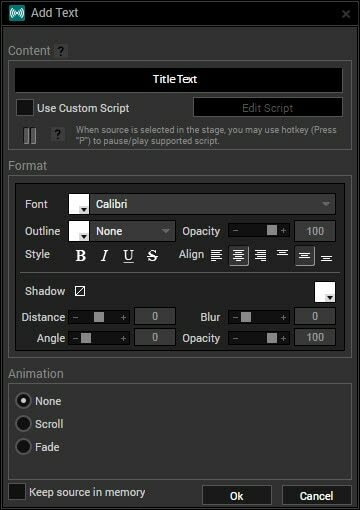 After selecting all the sources and setting up the various scenes, you can just press the hotkey you previously set up to start recording. If you skipped that step, you can just click on the Outputs menu and select the Local recording option. Depending on the option you choose, you will be asked to enter your credentials along with optional information like descriptions, tags, and so forth. As mentioned before, you will be limited at 720p@30FPS in the free version so keep that in mind if you are planning on streaming a game. While XSplit is great, it's not the only option in the market. The free Filmora scrn is aimed at beginners and allows you to easily capture video from two different sources without too much fuss. If you'd rather not have a bunch of different settings and configuration options to deal with, Filmora scrn can be a very viable alternative, particularly to those who wouldn't use more advanced features anyway.